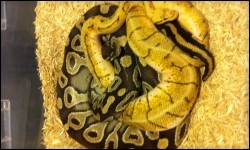 Another busy weekend | Albinos Unlimited Inc. | Specializing in breeding and importing some of the rarest and most exotic reptiles in the world. Just tons going on like alwaysand now back to the monday morning grind. We have had some nice breeding going on. Dare I say this but would really like one more big snow storm for the year.